I prise myself from Janet’s grip. I’m not terrified of heights, but I’m not looking forward to climbing down a crane either. I swing my leg over the side of the cage, the other one. I’m standing on a big ladder, with sides, not too bad really. Think of it as some sort of confidence building exercise, maybe an adventure. "Sure you don’t want to join me?" It takes some time. I concentrate on the sunset behind the high rise, orange, the dark silhouette of the buildings, try not to look at the drop beneath me. Place my feet on the steps one at a time, legs shake, hands grip the thick rails. Give myself a pep talk. "You’re doing great, Dusty." Bet the handbag’s ruined. I’ll get them, somehow. More steps. Think about Vanuatu, crystal clear water, bright coloured fish, fresh seafood, ripe fruit. Captain Randy, I’ll get him too. Show them all. Make it to the control box, sit on the seat, take a few deep breaths. Now, Janet. The keys are still in the ignition. If Thug 1 can drive this thing, so can I.
I check out the controls. Easy, Dusty. Don’t want to eject her. I peer up at the box, nudge the lever, the box jolts. Okay, right idea. Again. Looks like I’m going in the right direction. Easy, lower it slowly. Piece of cake. I get it about a metre off the ground, close enough. By the time I climb down the rest of the steps Janet has clambered out of the cage. She’s a mess, throws her arms around me, sobs. See it twenty metres away. Navigate the debris, legs still wobbly. Pick it up, open it. The contents have been reduced to shattered glass, split plastic and broken metal. The wallet’s drenched in perfume but seems to have survived. "Pub up the road. Let’s get beer." Janet’s covered in vomit, so I buy takeaways. We open them at the cab rank, toast our survival. People stand back, let us have the first cab. At Janet’s place the cat winds itself around my legs. She’s in the shower, has been for some time. I feed it deluxe seafood basket to stop the rubbing, purring. I phone Red, then order takeaway. They’re eating when I get out of the shower. I can hear Janet going on about freedom of the press. I wrap a towel around me. "Yeah, fine. Going to get my ticket, drive a crane." "Will you recognise the guys again?" "You bet. Janet won’t, had her head between her knees most of the time." "Afraid of heights. I’d remember them." Red’s devouring my butter chicken. "Don’t suppose I can eat?" Janet hands me a plate piled with rice and three different curries. Seems being threatened by thugs and rescuing your best mate makes you hungry. I eat. Red rips off a chunk of naan bread. "I’ll talk to Stern in the morning, he can talk to Cash." Wipes the bread over the last vestiges of curry on her plate. "Cash’ll deny any knowledge of it. Unless we can find those bastards there’s not much we can do. Probably from out of town, half way to wherever by now. Don’t suppose you got the number of the four-wheeler." I shake my head, Janet likewise. Red. "Might pay Cash a visit. Let him know he can’t mess with me or mine." So, I was one of Red’s. One thing I knew about Red, and Hank, they stood by their own. That was the key to their relationship. I just needed to know more about the other bit, the bit where things go wrong, and you still stand by each other. We eat, retire to the lounge with a bottle of wine. The cat crawls over Red, she puts it on the ground, again. Red’s not a cat person. Red’s not a dog person. Red’s not even a people person. I wonder how Maria puts up with her. I pick up the handbag, peer inside, pull out items, avoid bits of glass. The taser looks okay, built to withstand a fall from a great height. The digital recorder is smashed. Lipstick, smashed. Mobile, smashed. Various other items either smashed or destroyed by leaking perfume. At the bottom, the other phone, the red metallic one I found on the boat. I pull it out of the bag, smashed. Red. "Take out the SIM card, put it into a new phone." Janet. "How come you’ve got two phones?" "Found this one. Batteries are dead." Red. "Can trace the owner, by the EIME number." I give up. Deposit the lot into a plastic bag, decide to go through it later. Janet gives me a hug. I think she might start to cry again. Red gives Janet a pat on the shoulder, her second in two days. "Go to bed, Janet. And forget the story, it’s not worth gettin’ killed over." "They mean business. Reckon they can do much worse than they did tonight." "Might give mum a call." Fran. Not a good idea, don’t need Fran upsetting Janet, upsetting my plan for Vanuatu. "Wouldn’t call her now Janet, not while you’re upset, don’t want to upset her. Nothing she can do." "Catch you in the morning. Swimming?" Red pulls up outside my house. "Stern’s right, should look at your security. That was a warning, next time it could be worse." I dump the plastic bag, handbag on the coffee table, grab a beer, collapse on the couch. I turn on the Angels for inspiration, mute the sound, then lie back, digest the curry and the day’s activities. I think the Thugs can be used to my advantage. While the Angels do their thing, I think, about Cash about the Thugs. We hit a nerve with Cash, and the councillors, but I don’t reckon that’s got anything to do with Manny’s death. Like Red said, developers and councillors in bed together, that’s not news. It’s played into my hands though, Janet and I need to lie low, stay out of trouble. What better place to disappear than a south-Pacific Island. I’ll go back to see Amanda in the morning, advise her the next place to go with our inquiries is Vanuatu. The way she reacted to my comments about Manny bribing councillors I reckon she’ll be pleased to see me go. Then a thought worms its way into my brain. Maybe Amanda called Max after our conversation, she must have known something about her husband’s work. Maybe she knew Manny was bribing councillors. If she called Max, it could have fuelled the flames, may even have contributed to tonight’s activities. Won’t mention that to Janet. I open the laptop, Google Air Vanuatu. There’s a flight tomorrow 7.30pm. I also Google accommodation options, decide I’d like to stay in the Sebel. Reckon Amanda would stay at the Sebel. Time to pack. Pacific Island, undercover. The Angels are on deck chairs in swim suits. I pack three bikinis, five,include my favourite with the shells on the ties. A couple of sarongs, several light day dresses, sandals. Racing suit, goggles and swimming cap. Throw in a few more pieces to fill up the overnight bag. Cosmetics. I text Janet: Book 7.30pm flight to Vanuatu tomorrow. There’s only one hitch, I have to get Hank to drop the charges. My only option is to get Red to ask him - I have to make her think it’s a good idea, her idea. I know if she asks, he’ll do it. The Angels splash in the ocean, Charlie watching them, spying, from a distance. What is it with Red and Hank? There’s no way Red would have stolen drugs, don’t think Hank would have either. Maria almost let it slip one night, late, we’d been drinking tequila shots and strawberry daiquiris. Didn’t tell me much, just there’s something that would put both Red and Hank in jail if it came out. The DVD finishes. I turn off the set, put my hands behind my head, stare at the walls - fibro, timber strips covering joints, cobwebs in the high corners. Hank and me. Lust - straightforward, simple. I wonder if there’s anything in the PIs handbook about relationships with cops. Haven’t seen anything, haven’t looked. As for the Dusty Dexter rule book, there is no rule book, never was. Post Daz it’s about moving on, one day at a time, maximum input, maximum outcome. And it’s all coming together. Exciting job, exciting dating prospects, working vacation to an island with palms, lagoons, drug lords. What more could a girl want? My plan requires restraint, timing. If I take it step by step, everything should fall into place and I should be on a plane to Vanuatu at 7.30, drinking cocktails around the pool well before midnight. Step one. I phone Red to advise her of my intentions, get her in the loop. "A PI’s work doesn’t stop for the weekend." "Told Amanda I’d keep her up to date. Going to drop over, let her know about the work I’ve been doing on Clay. I think Vanuatu’s the key." "Don’t go anywhere else. Spoken to Janet today? She okay?" "Suppose so. Talk to you later, let you know how I go with Amanda." Step two. I phone Amanda, business-like. "Amanda, Dusty Dexter. I’d like to drop around, show you some material I found. Discuss our next avenue of inquiry." "I can be there in half an hour." I pick up the laptop and the folder of guff I printed out from Clay’s websites. The look I have chosen today is casual, yet professional. I’m wearing knee-length black leggings, ballet flats, black with a green trim, a chiffon over shirt in citrus swirls, off one shoulder, I picked up on sale in one of those expensive Esplanade boutiques, black bra, green headband. I leave the top on and turn up the air-con, negotiate Saturday morning traffic around Kawana Shoppingworld, arrive cool and collected. Pamela meets me at the front door, she looks very Hastings Street - white linen, gold jewellery, tight smile. We walk along the river to the pool. Amanda is swimming, her stroke measured, not strong but reasonably effective. She completes a couple more laps, walks out of the beach end of the pool like she’s in some advertisement for fashionable living, retrieves a towel thrown over a deck chair. The swimsuit’s black and gold, classy. She towels dry, wraps a matching sarong around her waist. She would not look out of place by the pool at the Sebel in Vanuatu. Pamela appears with juice for Amanda and my coffee, she declines to join us. Amanda drinks. Even with wet hair and no make-up she looks polished. No goggle rings. Probably thinks goggles give you wrinkles. Probably do. Refreshed, she’s ready to start. "Dusty, I was surprised to hear from you. I didn’t think you’d be working on a Saturday." "Crime doesn’t stop for weekends, Amanda. I believe when you have a lead to follow, you keep going until it’s exhausted." Before we talk about Vanuatu I want to mention last night’s incident with the thugs. I’m pretty sure she spoke to Cash after I saw her yesterday, brought him up to speed. I want to see her reaction. She might be interested in the outcome. I sip coffee. Make an obvious effort to settle myself. I look Amanda in the eye, don’t want to miss her reaction. "I’m still a little shaky today, Amanda. My journalist friend, Janet, and I had a bad experience. We learned you don’t want to cross Max Cash." "Last night two thugs grabbed Janet and me at gunpoint, drove us to one of Cash’s development sites, took us up in a crane, gave us a message from Cash, threatened us and left us there." "I’m sure Max can’t have been behind anything like that." "Janet talked to the councillors, about the bribery claims and that resort on the range. She tried to talk to Max, but he refused. They told us Max meant business. It was scary, I can tell you, Janet still hasn’t recovered." "It’s ridiculous. Max is a professional with an unblemished reputation." I’ve made my point, let it go. It’s time to get to the real business, and get the tickets to Vanuatu. "As we discussed I have been looking into Clay Goldshield’s business activities. I’m sure there’s a link between the drugs coming in from the Pacific and his developments in Vanuatu." "Done lots of research." I pull out the folder, it’s a centimetre thick. I open it, sift through pages of annual reports, business plans and projections and prattle on about developments and resorts, joint ventures, managing partners. As anticipated she doesn’t seem too interested. I open the laptop, power it up, pull up his Vanuatu site. "This is the latest development, still under construction. Clay visits regularly, meets with his partner, a sailor. Between them there’s plenty of evidence that points to drug smuggling. It’s just a bit hard to pull it all together from here." She runs a manicured finger around the rim of her glass. "And you think following this drug smuggling will clear up Manny’s murder?" "I was talking to Senior Sergeant Stern yesterday. The police are convinced it’s all linked. They’re working on it from this end, but the quickest way to clear it up would be to have someone over there. 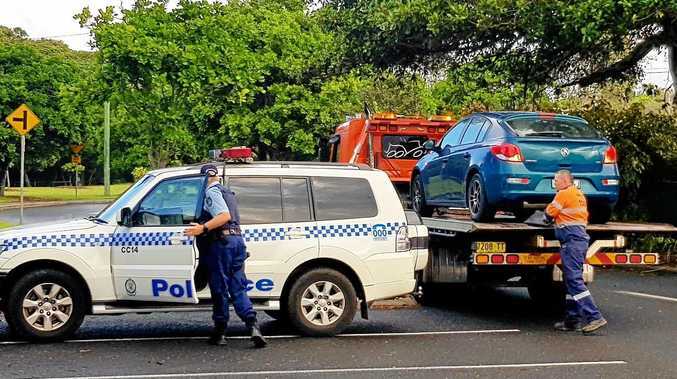 The police budget doesn’t seem to extend to flying detectives to Vanuatu for a few days." Take it easy, but move in for the close. "That’s where I think we should step in, Amanda. Send me to Vanuatu, I can find out so much more actually being there. The whole mess will be sorted out before next weekend." "You’d be prepared to go overseas?" Calm, professional. "Can’t really see another way of finishing this investigation." She thinks it over, swallows more juice. "Excellent idea." "I’ll go today, no point wasting any more time." "Amanda, let’s book the flights and accommodation right now. Four days should do it." I should work in sales. "Mother, could you bring my wallet." Next week: Amanda slips the credit card out of her wallet.